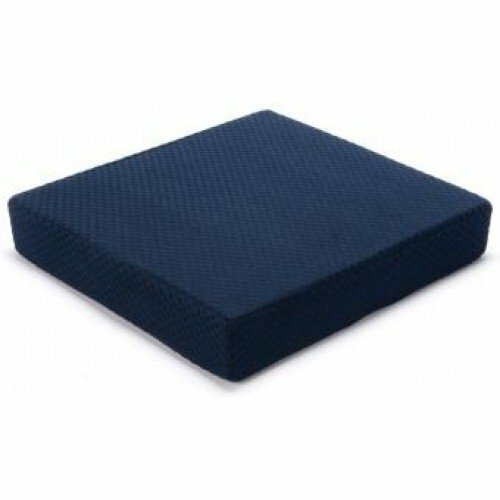 Memory Foam Cushion, manufactured by Carex, is an ergonomically designed Cushion that can be used in any chair, including a wheelchair. 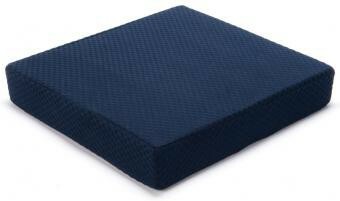 This Cushion will help its user to achieve better posture and while sitting. 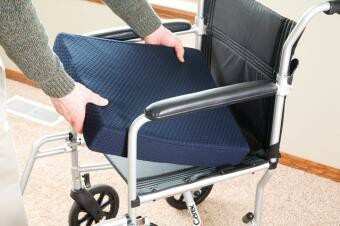 The Memory Foam Chair Aid Cushion will help someone maintain stability as they sit. Stability is particularly important when someone has difficulty balancing or is in a wheelchair. 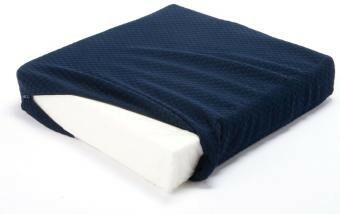 These Memory Foam Cushions have a polyester and rayon cover. Already, the foam cushion being used, I have noticed an indent on both sides, I regularly flip over the cushion, when I am sitting on it, over time, I will need to look for a 4" depth, wheelchair, seat cushion.